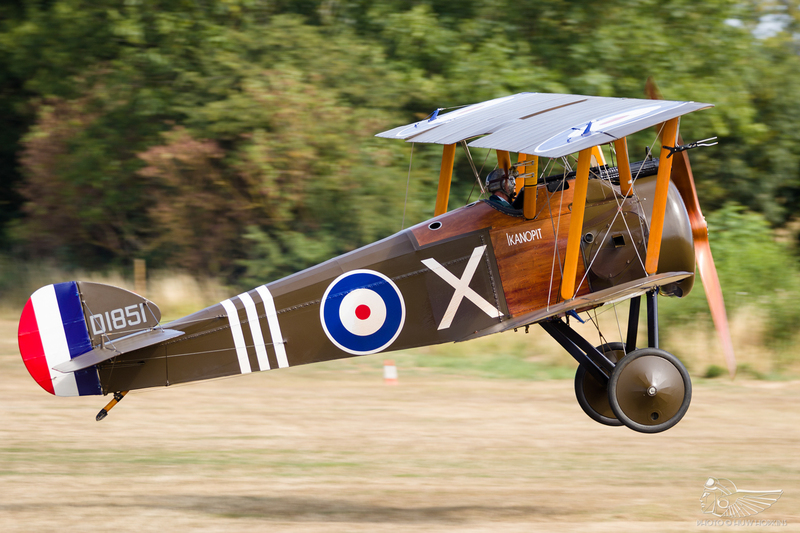 The addition of a Family Airshow to the Shuttleworth Collection’s calendar in 2018 may have raised an eyebrow from the ardent enthusiast, but the event truly offered something for everyone without tarnishing the Old Warden atmosphere. Driving down the country lanes on the way to Old Warden on a lovely summer’s morning, the scale of the vintage funfair, with the Helter Skelter towering high above the airfield, was immediately apparent. Cresting a slight raise revealed the rest of the airfield, bustling with people with the main car park already full to capacity. The participants scheduled to fly at the Family Airshow included a selection of the more commonly seen acts on the airshow circuit, some of them far from vintage, and even I wondered whether the possibility of a ‘watered down’ air display and an abundance of children would dissolve some of the Old Warden charm. In the event, it was quite the opposite. 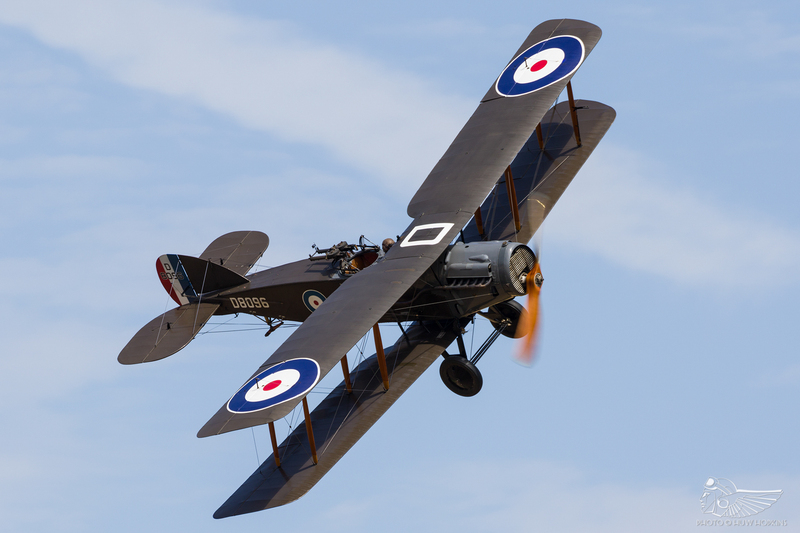 The August Sunday show has gone through a number of thematic iterations over the past few years, taking the Edwardian Pageant name in 2016 and 17 and Wings & Wheels before that. 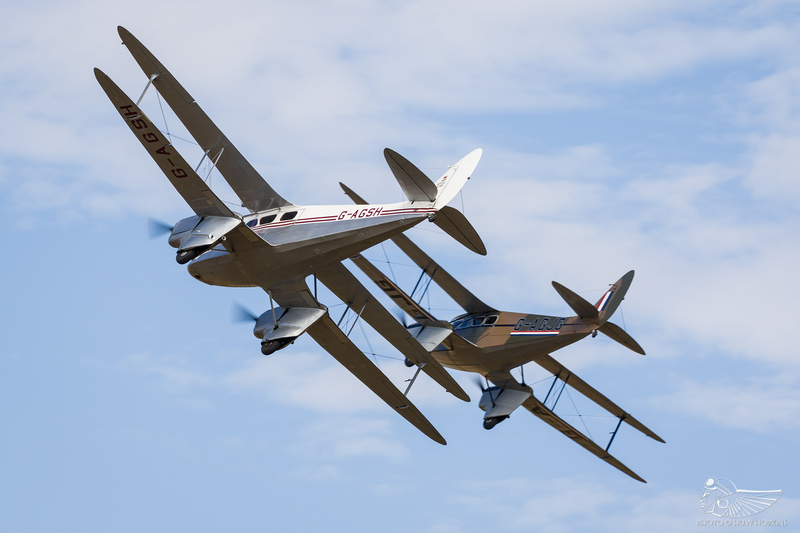 The current Shuttleworth team are doing an immense amount of work behind the scenes, tweaking individual events and the calendar as a whole to provide both the best source of income for the Collection and the best events for the punters. 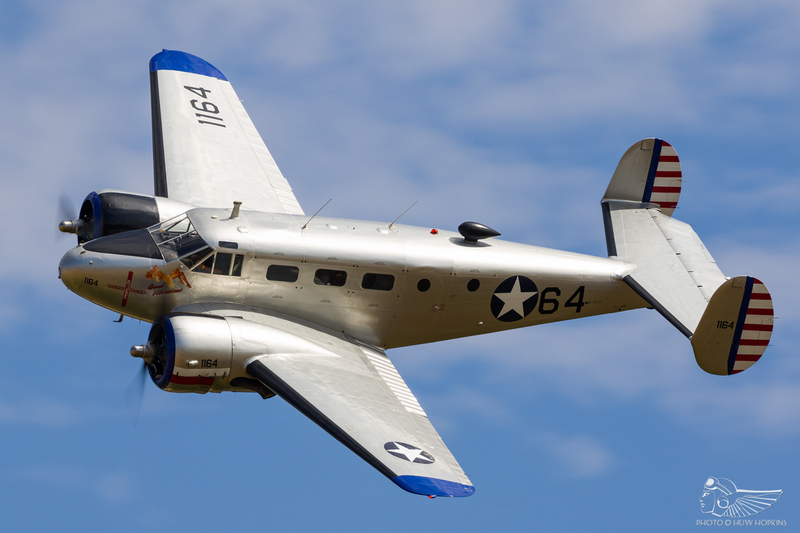 After June’s warbird-heavy Fly Navy and July’s First World War-centric Military Pageant, the Family Airshow was a departure from the enthusiast skewed events, aiming instead for a more generalist crowd. The worry was that the likes of the wingwalkers, Calidus autogyro, skydivers and Little & Large Extra formation might dilute the atmosphere, however there was still a balance between these acts and those that would keep the diehard visitors interested. These too visibly and audibly entertained the crowds, but the atmosphere was not sapped at all. 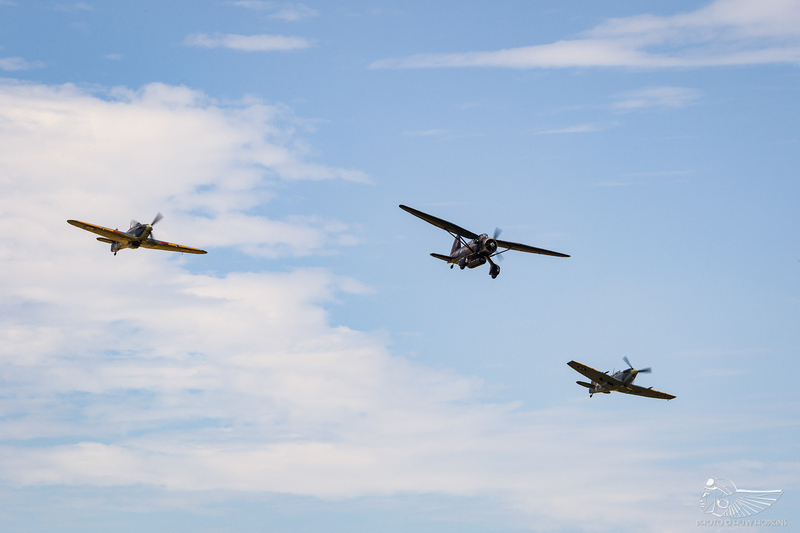 Kicking off the show were the Spitfire Mk.V and Sea Hurricane, initially joined by the Lysander for a heavies formation before Jim Schofield put in a typically fantastic routine in the clipped wing Mk.V AR501. More famous types such as these bridge the gap between enthusiasts and the casually interested general public alike. 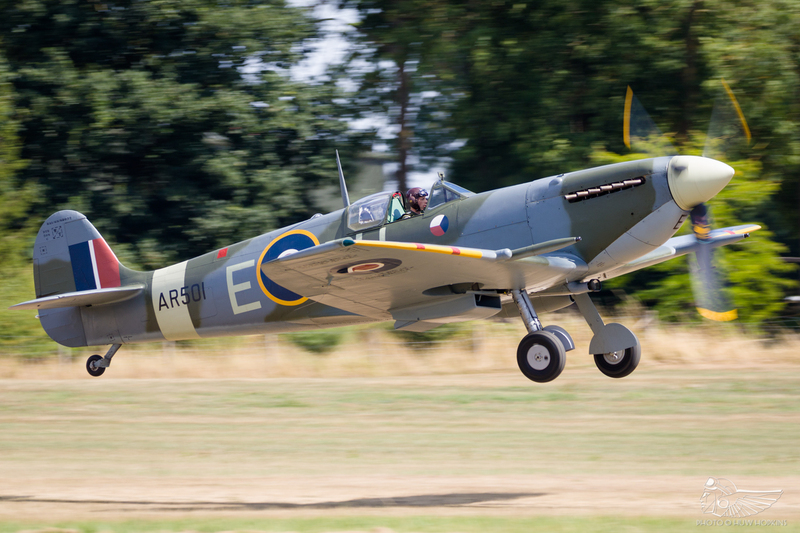 This also heralded a proud moment for me as I had brought my family along for the show and the opening sequence left my three year old nephew jumping for joy at the Spitfire cavorting in the blue! Though some of the flying programme’s focus had shifted to visiting family-friendly acts, there was still much to entertain the enthusiast. Making its first display at Old Warden under Nick Houghton’s ownership was Beech C45 Expeditor Good Vibrations, and after a flypast with the Avro XIX on its wing Nick put on a very nice display indeed. 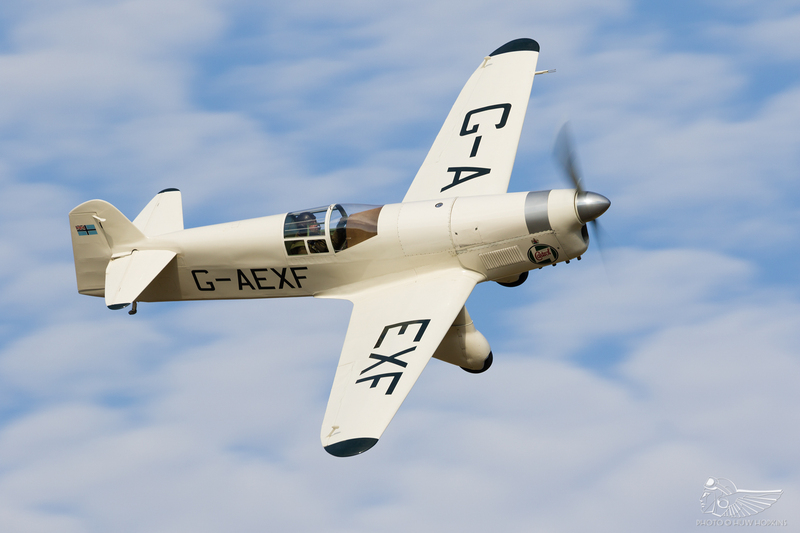 The Beech is one of the most active vintage aircraft in the country at the moment, with Nick and other members of the Leicester Flying Club visiting airfields and frequenting fly-ins all over the midlands and southern England. Another pair of vintage twins at the show were a pair of de Havilland Dragon Rapides, with Mark Miller (in his Duxford-based machine) leading Jean-Michel Munn (in the Old Warden resident Rapide owned by Philip Meeson) through a fine formation and tail chasing routine that I would love to see repeated again. 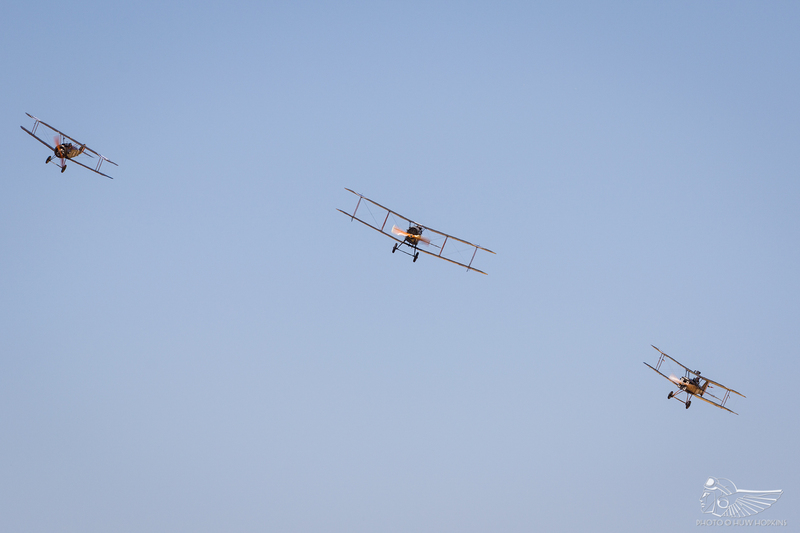 A rare spectacle saw three of the Shuttleworth Collection’s First World War aeroplanes join up in formation. After a punchy solo display the Bristol F2b led the SE5a and Camel for some passes in a vic three, a sight not often seen at Old Warden, let alone anywhere else. 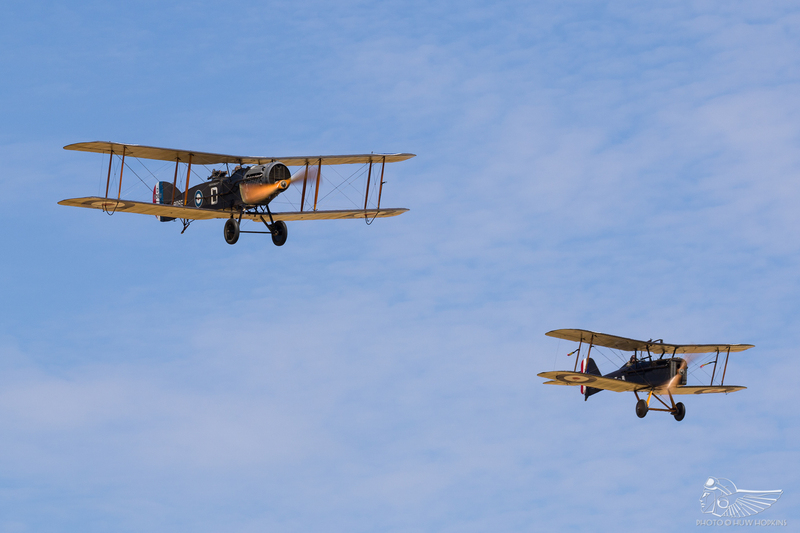 Later in the display the Sopwith Triplane and Avro 504K also displayed. 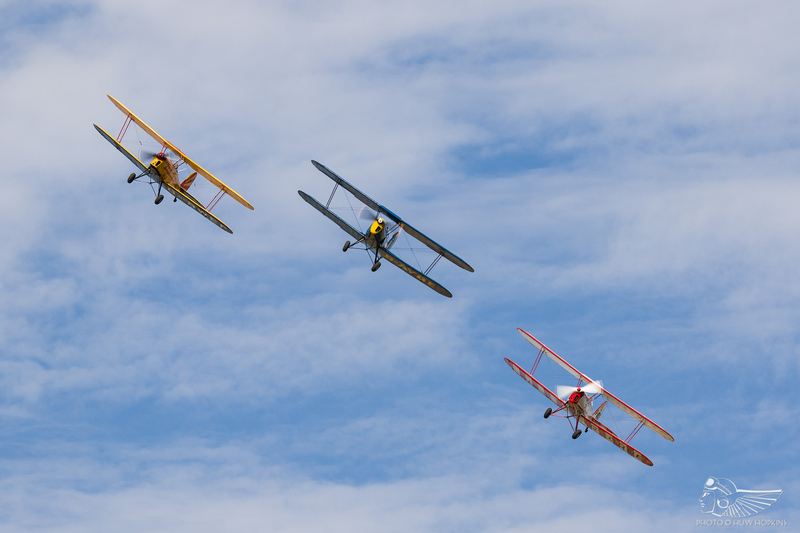 We’re accustomed to seeing the Shuttleworth trainers performing barnstorming, but the Family Airshow hosted Dennis Neville’s Flying Circus in lieu, which the children really loved watching as the team, flour bombed, limbo’d and balloon burst their way through the skies. A trio of Stampes were also in attendance, an oft underrepresented type from the 1930s given a good airing here. Sadly Chris Jesson’s solo aerobatics had to be curtailed due to a technical hitch with the Piston Provost (which was airborne at the time) requiring its immediate return to the field. 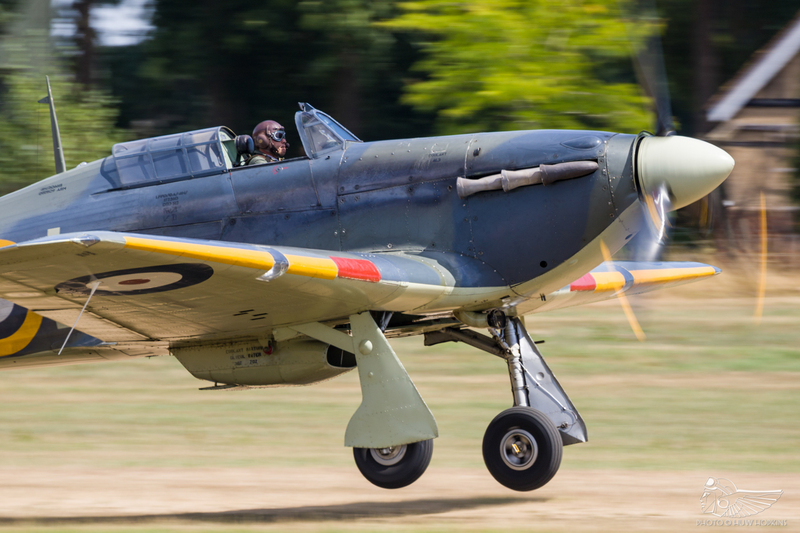 It would be nice to see them back at Old Warden again. Vintage aerobatics came by way of Anna Walker’s superb Jungmann routine, which for me was one of the highlights of the day. 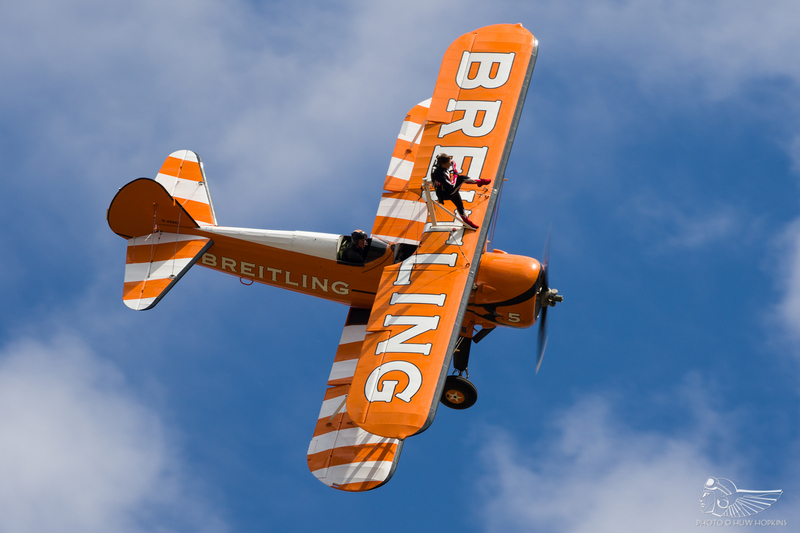 Her beautiful aerobatic display is so well suited to a venue like Old Warden. A similarly excellent display came from the Lunak glider. 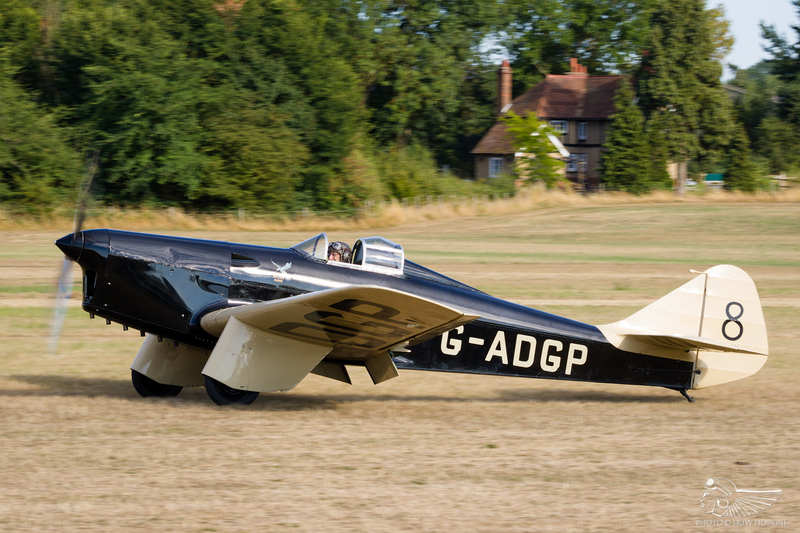 The undoubted highlight of the show for the vintage enthusiasts was the debut of the Miles Hawk Speed Six under the ownership of the Shuttleworth Collection. 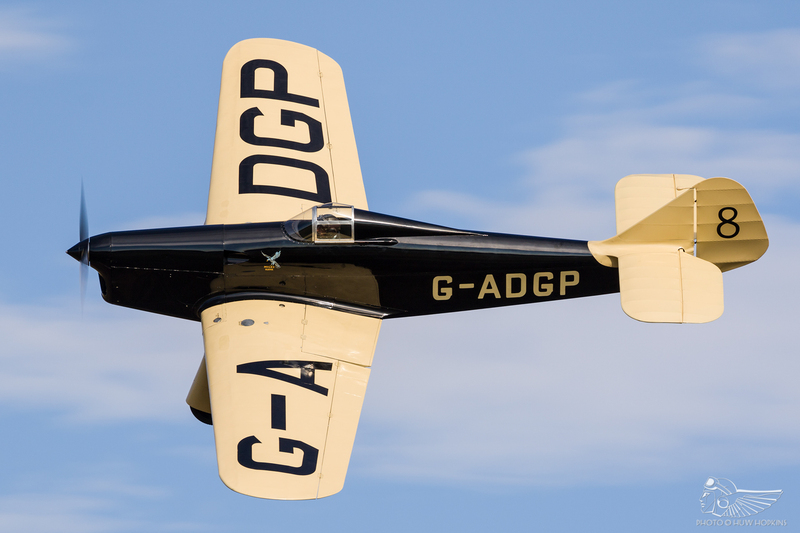 Purchased in June with funds from the Shuttleworth Veteran Aeroplane Society, the Speed Six spent some months receiving attention in the engineering hangar before flying at one of the Collection’s airshows. 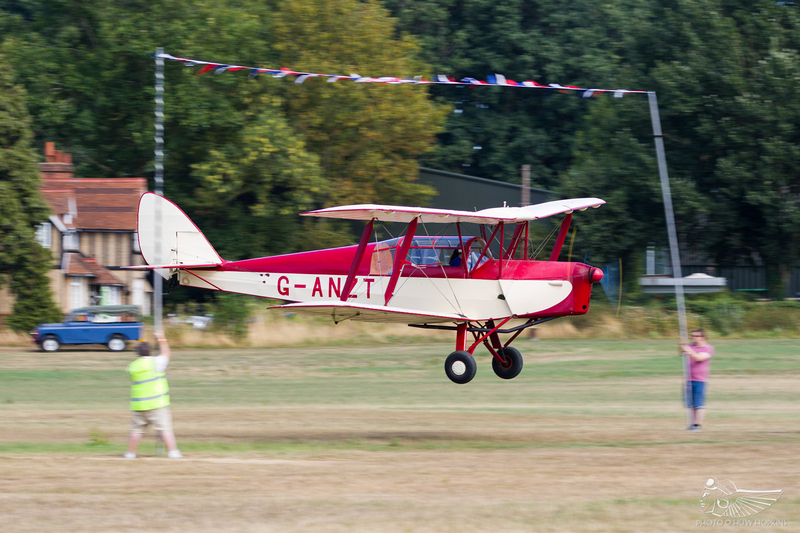 Fittingly for its first display under the Shuttleworth banner, Chief Pilot Dodge Bailey was at the controls, joined in formation by Jean-Michel Munn in the Mew Gull. 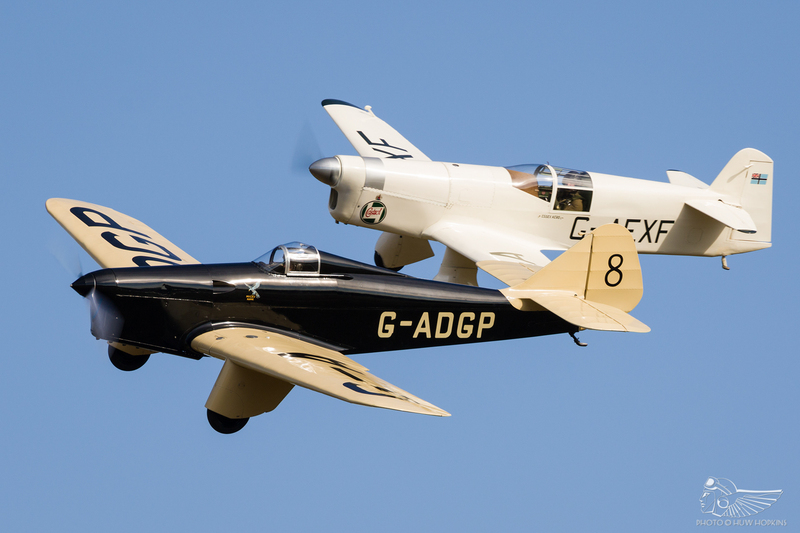 These two aircraft had been adversaries in post-war handicap races, and the Family Show marked the first time they had flown together in recent times. 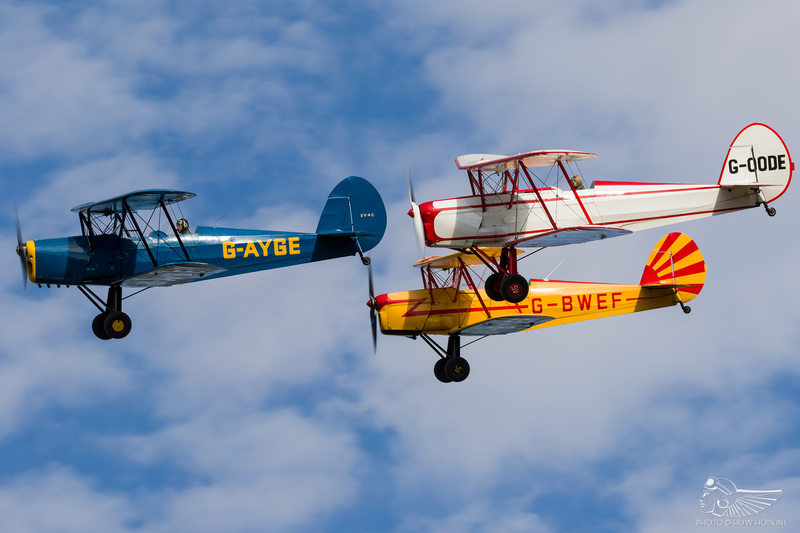 Old Warden’s August airshow has always had something of a confused identity thanks in part to the numerous different themes tried and tested over the years. 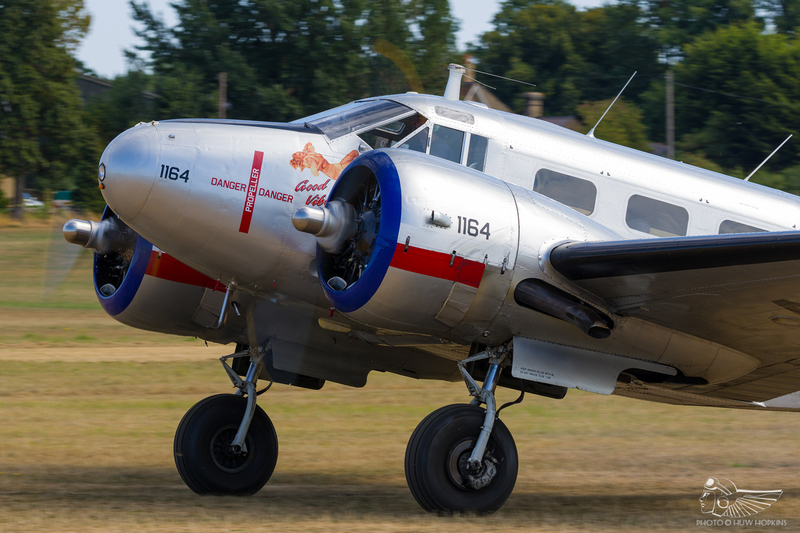 It felt like the team really found their stride with the Family Airshow theme; Old Warden felt absolutely alive, with a large crowd comprised of children, families and enthusiasts alike. Far from tainting the Old Warden charm, I would argue that it buoyed it. If this event can encourage more of the general public to attend, and perhaps even return in future to other events, then it is an endeavour worth pursuing. 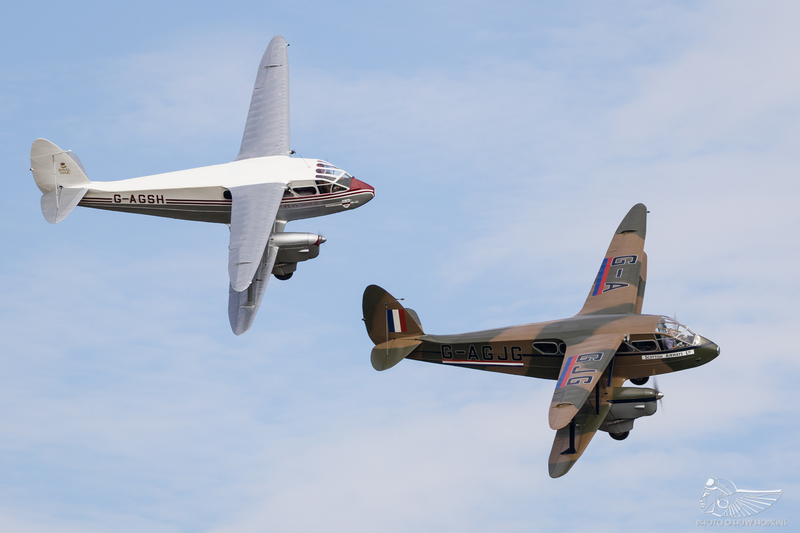 The Family Airshow was a roaring success and it’s good to see it scheduled to make a return to the calendar in 2019. It is wonderful to see the current Shuttleworth Collection organisational team putting their mark on events at Old Warden. 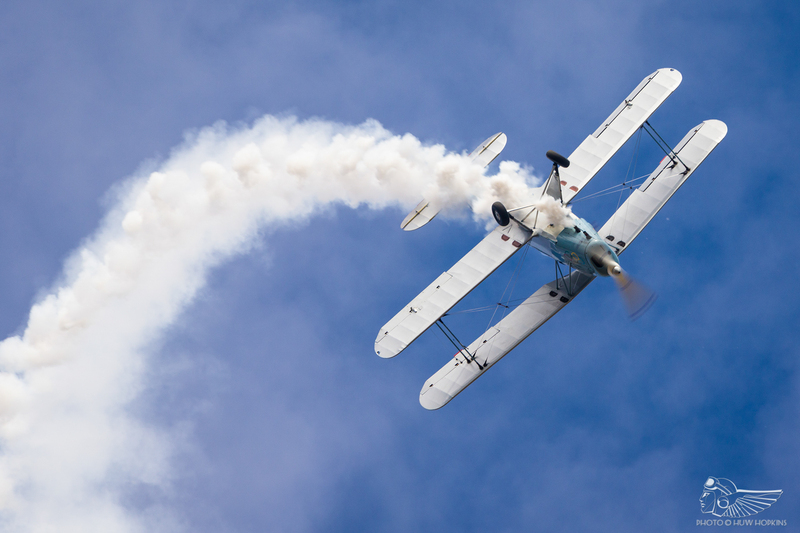 They are always looking to improve the airshows and the event year as a whole, never resting on their laurels. It really is encouraging to know that the place we adore so much is in such safe hands.